Little is known about mercury (Hg) biomagnification in the subtropics, aquatic systems with high species diversity resulting in complex food webs. 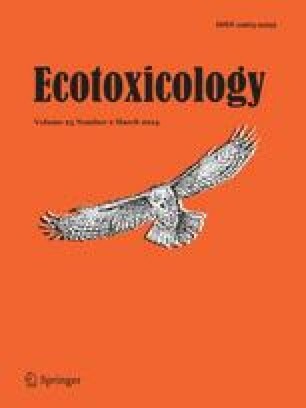 High atmospheric Hg emissions and ubiquitous reservoir fisheries may lead to elevated Hg bioaccumulation in Chinese freshwater fishes. However, stocking practices using fast-growing species can result in low fish total Hg (THg) concentrations. Here, we describe Hg transfer within the fish food web of a large subtropical reservoir, Qiandao Hu (Xin’anjiang reservoir) situated in eastern China. We measured food web Hg biomagnification and THg concentrations in 33 species of stocked and wild fishes. Mercury concentrations in most fishes were low, though we also found high Hg concentrations in wild top predators. The food web structure, assessed using stable isotopes of carbon (δ13C) and nitrogen (δ15N), demonstrated a high degree of omnivory and a long food chain. THg concentrations were highly correlated with fish δ15N values. The regression of log10THg against δ15N revealed the overall Hg biomagnification rate was low. This study shows that where long food chains exist in subtropical reservoirs, elevated Hg accumulation in top predators can occur despite a low Hg biomagnification rate. The online version of this article (doi: 10.1007/s10646-013-1158-6) contains supplementary material, which is available to authorized users. We thank Fudan and Queen’s University graduate students for assistance in the field. DC Depew, RA Lavoie, L Campagna and two anonymous reviewers provided helpful comments on the manuscript. This research was supported by funding from Queen’s University, Ontario Graduate Scholarships, the Canada-China Scholars’ Exchange Program, and an International Development Research Centre Doctoral Research Award to NR Razavi, and from a Natural Sciences and Engineering Research Council of Canada Discovery Grant and a Queen’s University Chancellor Award to LM Campbell.